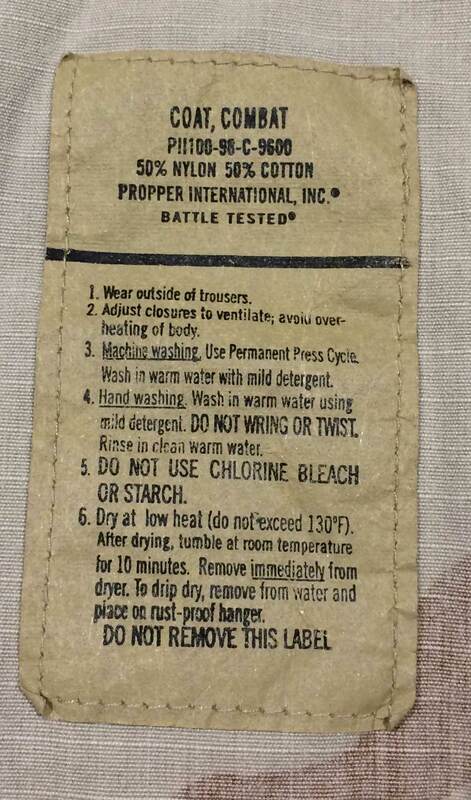 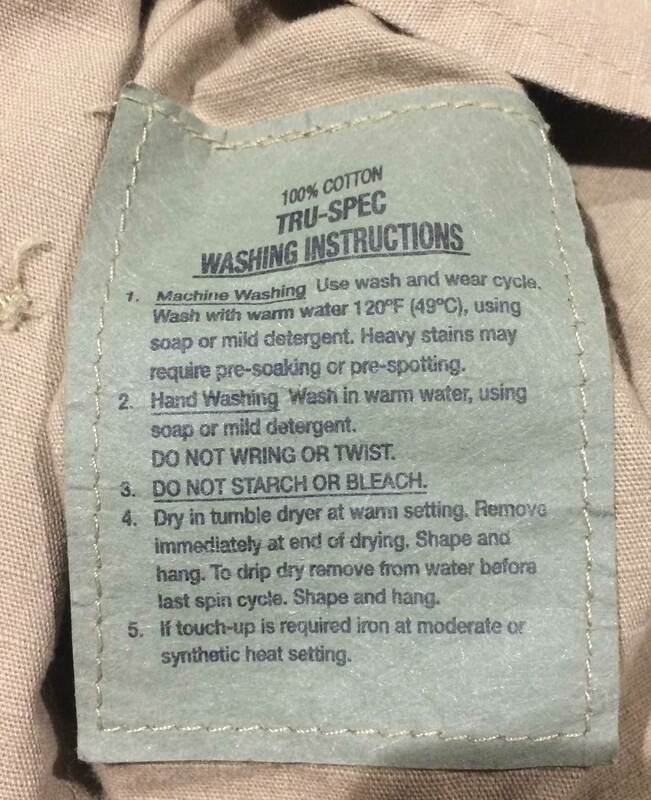 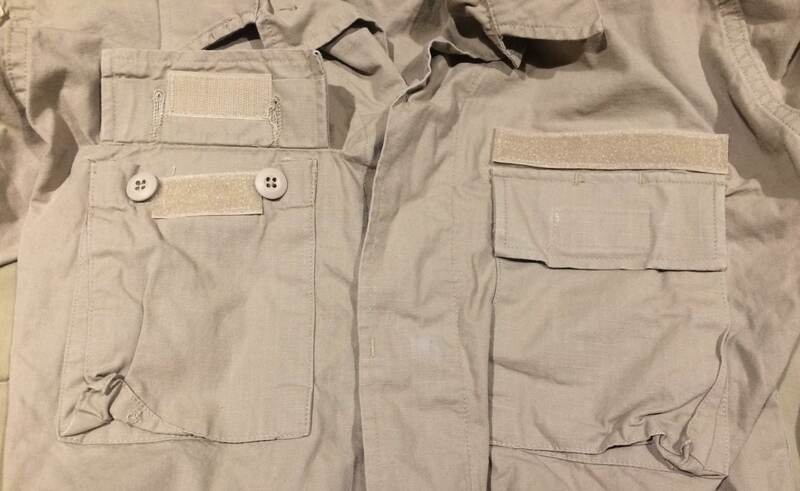 No buttons on pockets. 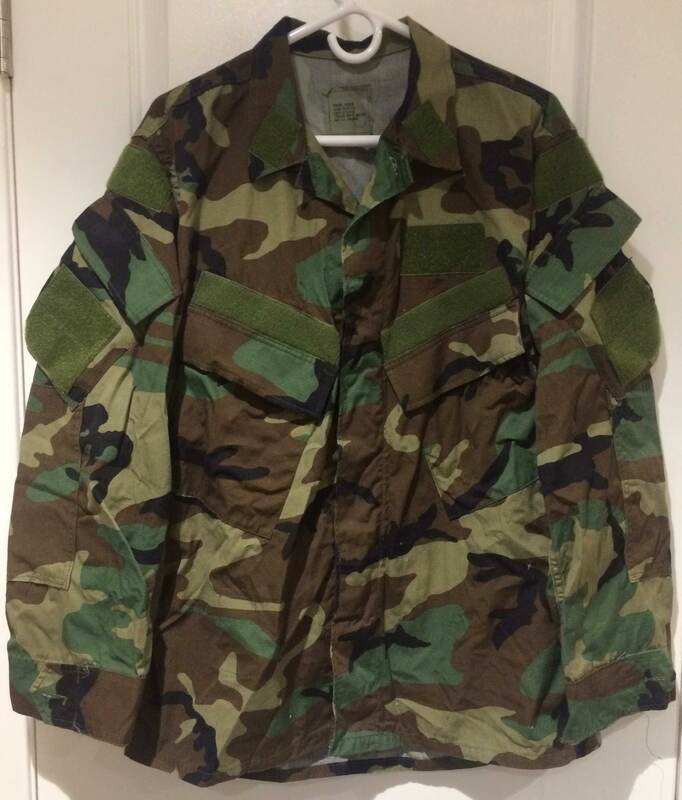 No longer in collection. 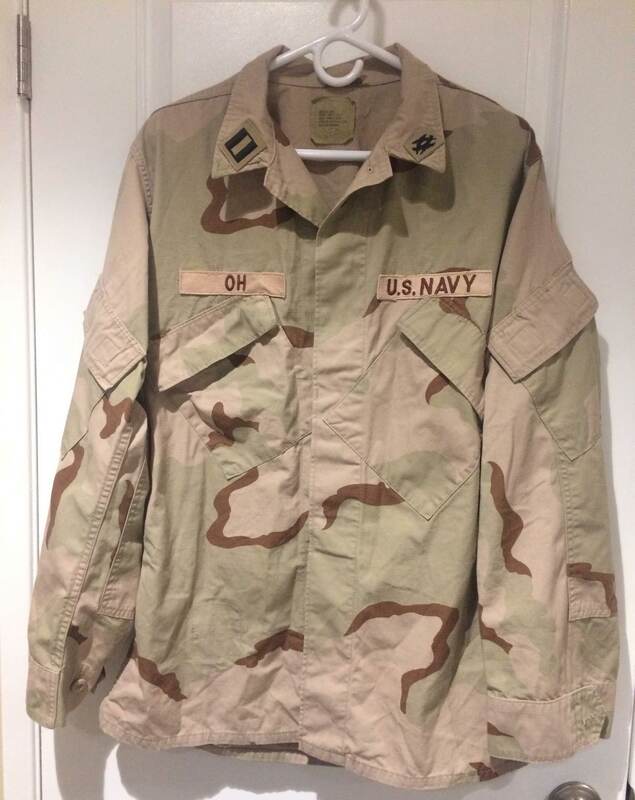 No longer in collection. 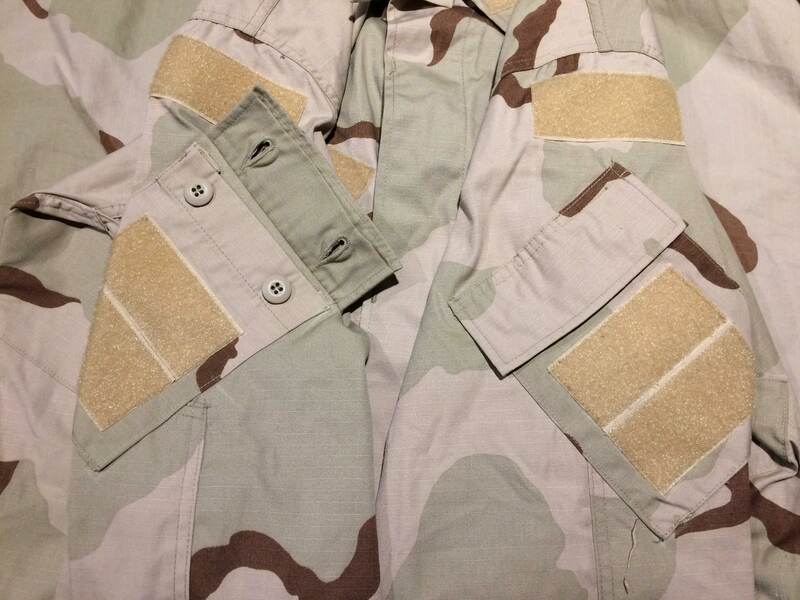 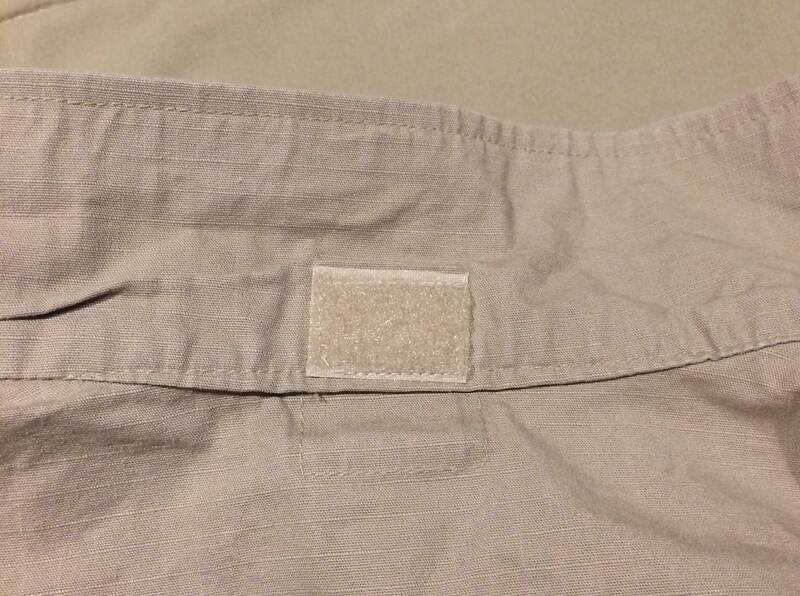 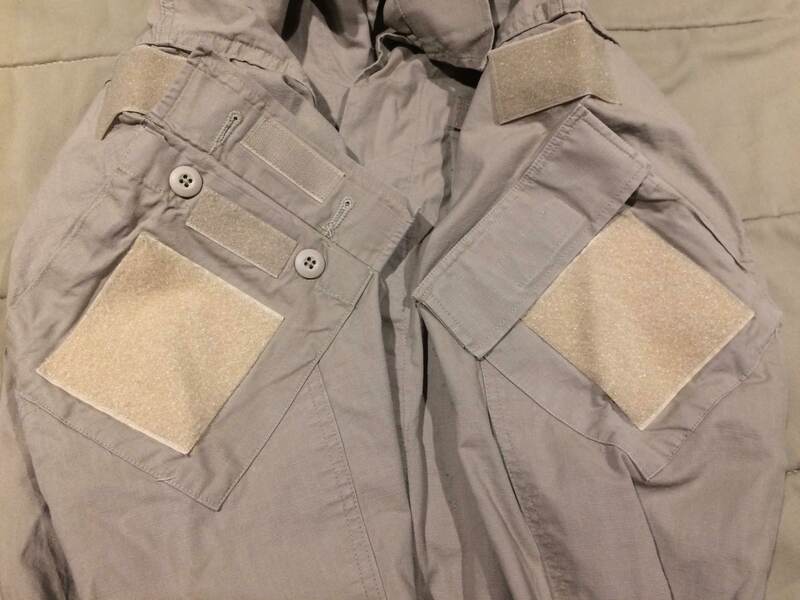 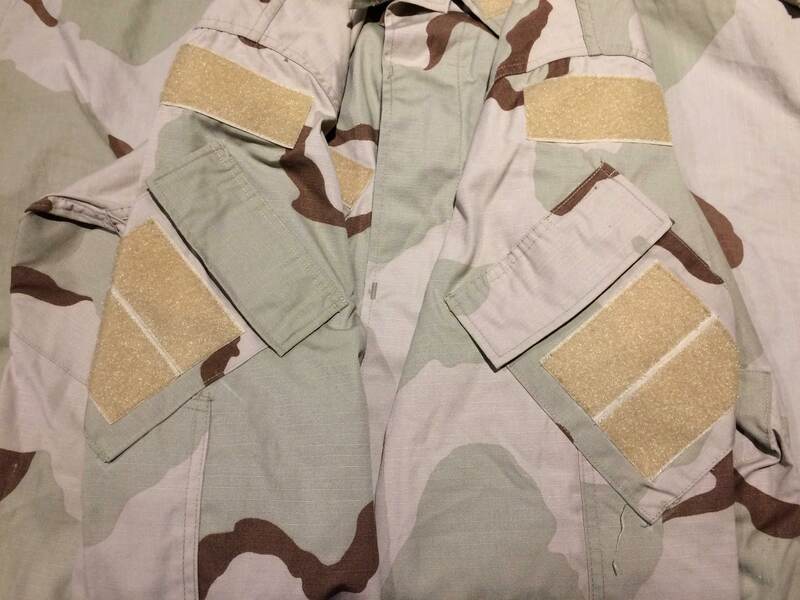 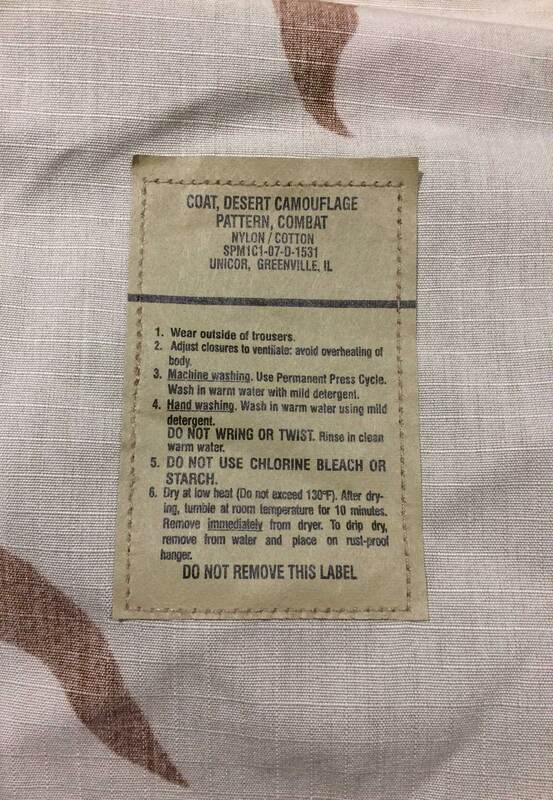 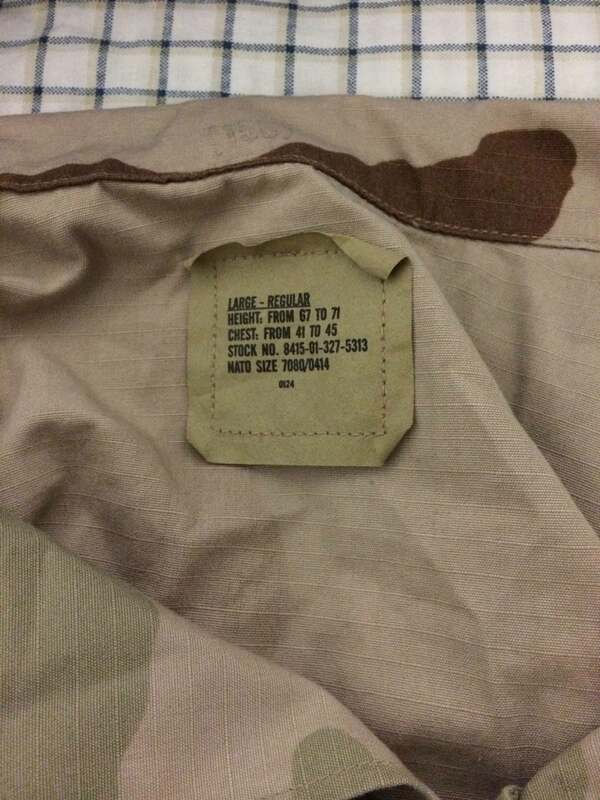 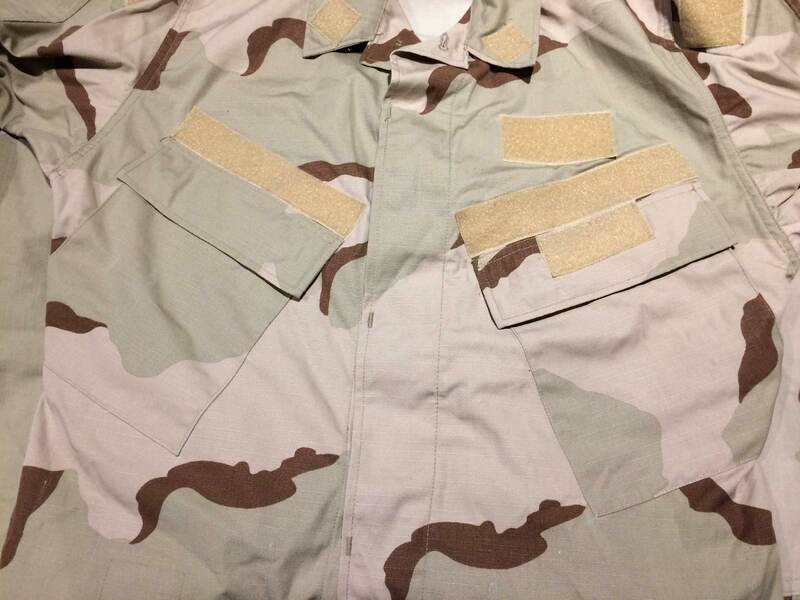 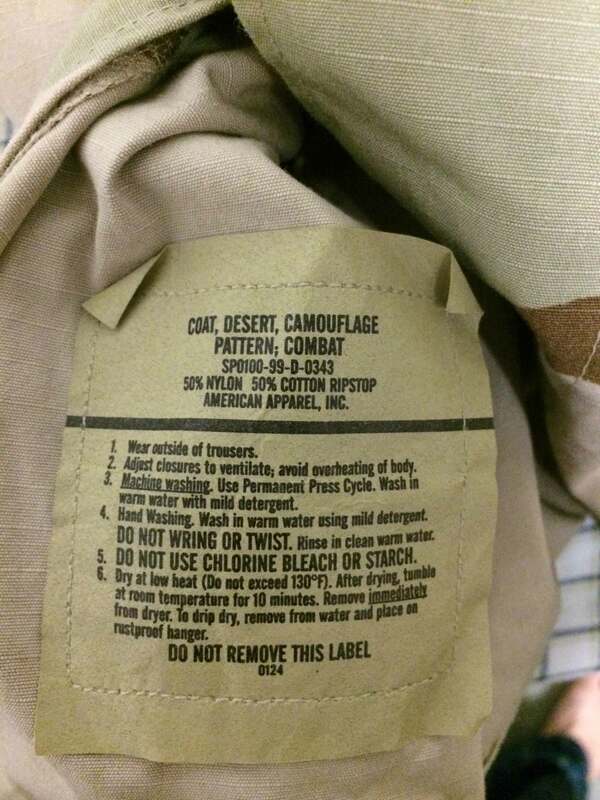 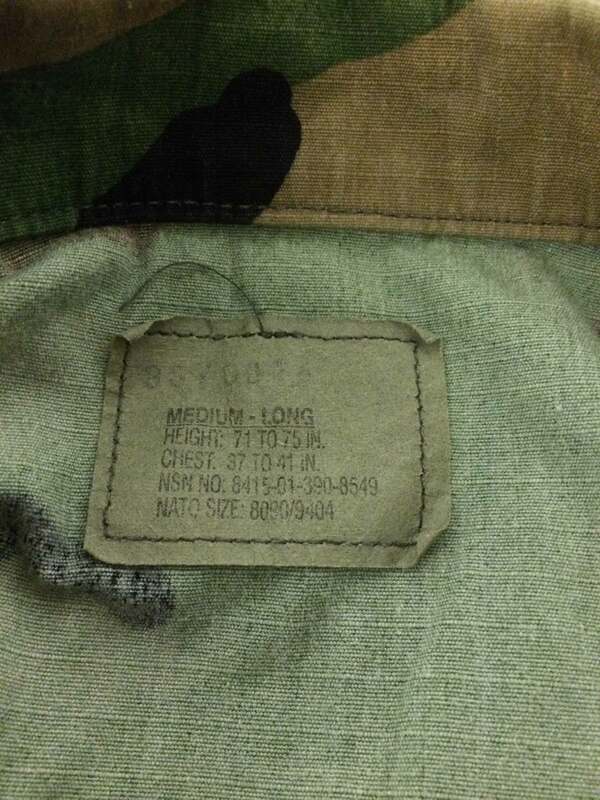 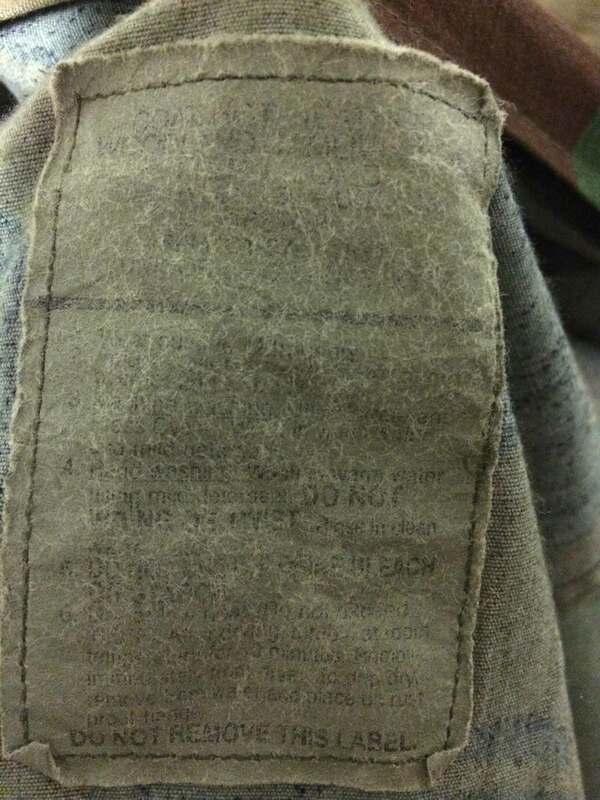 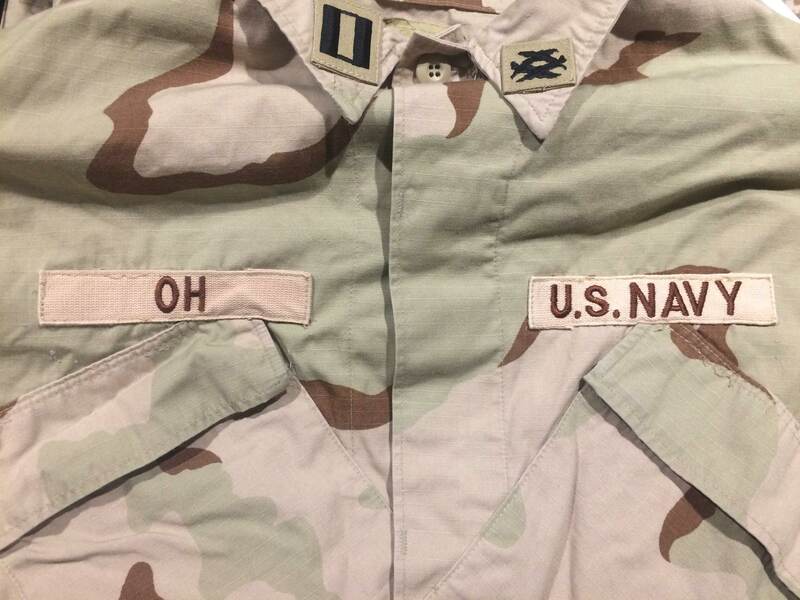 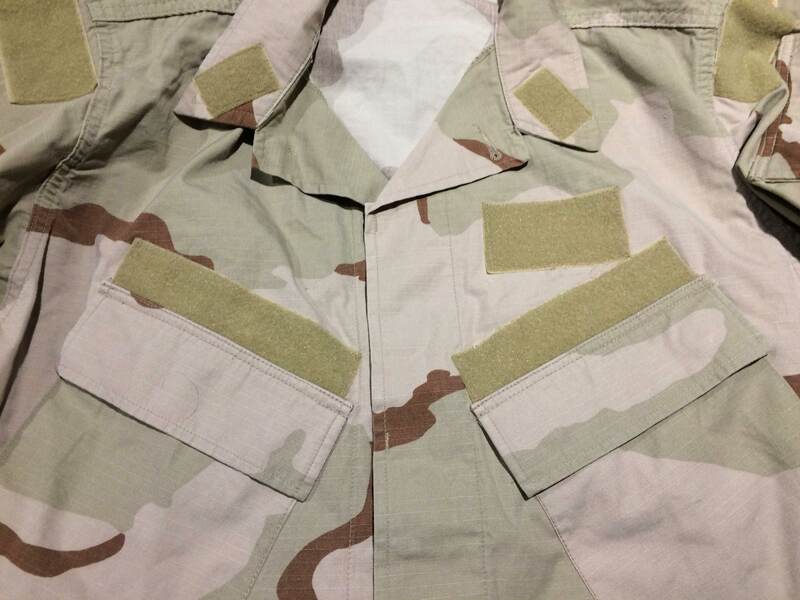 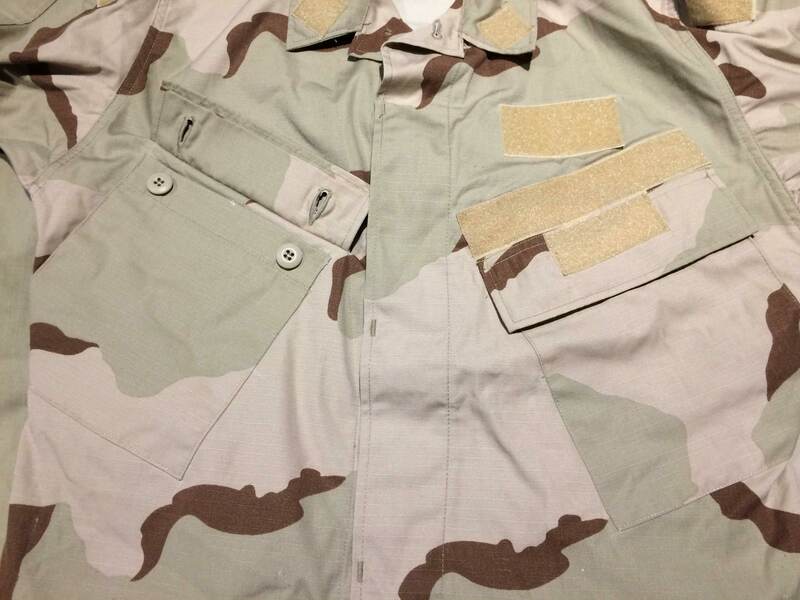 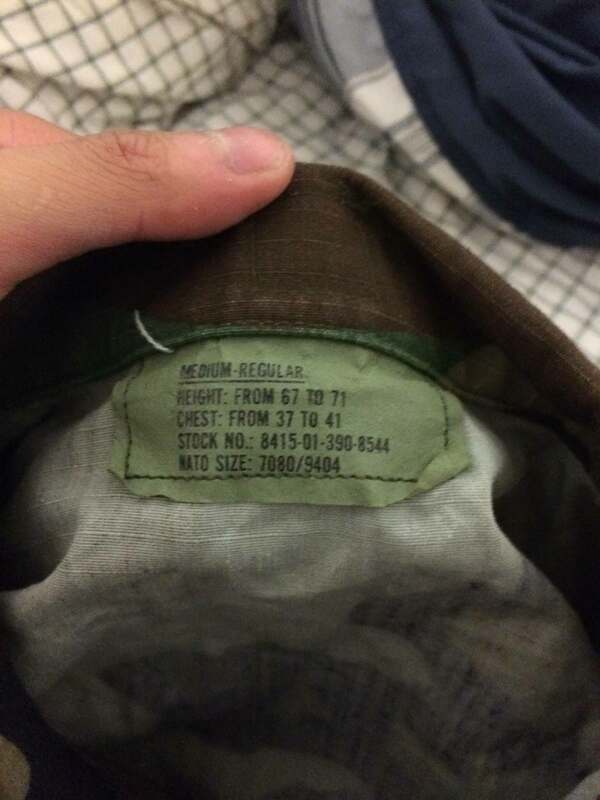 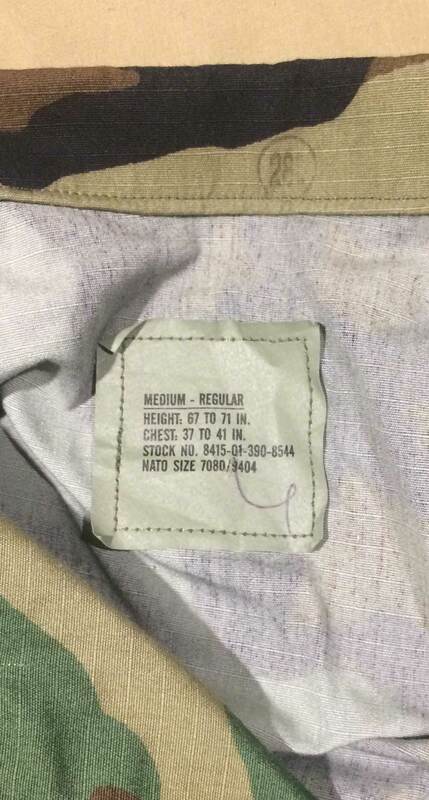 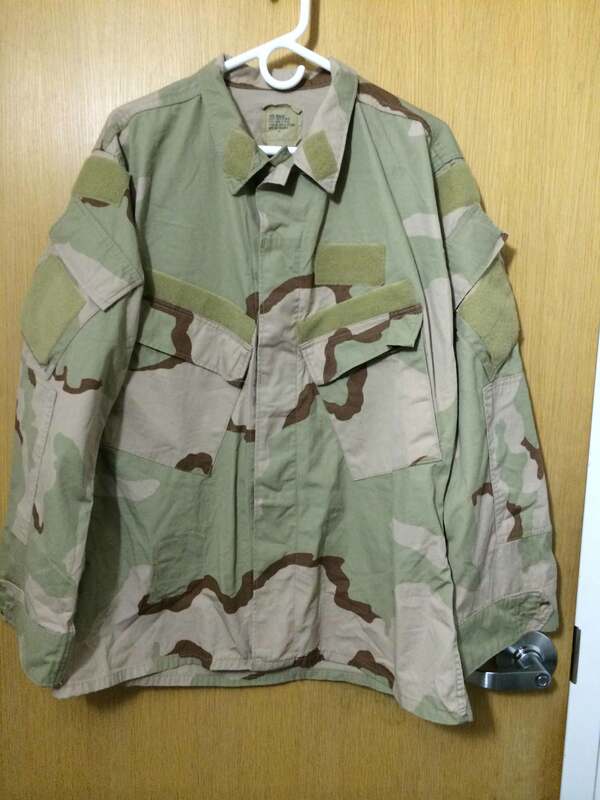 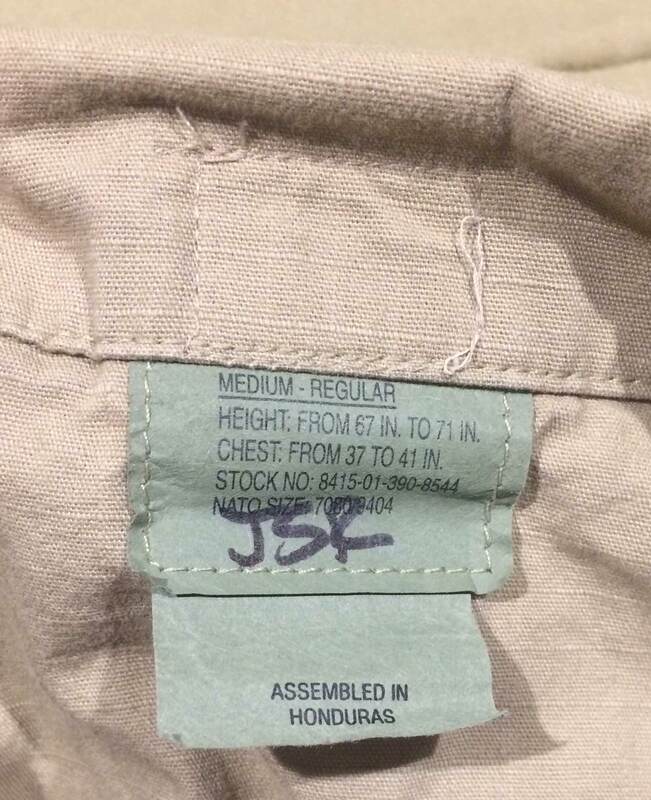 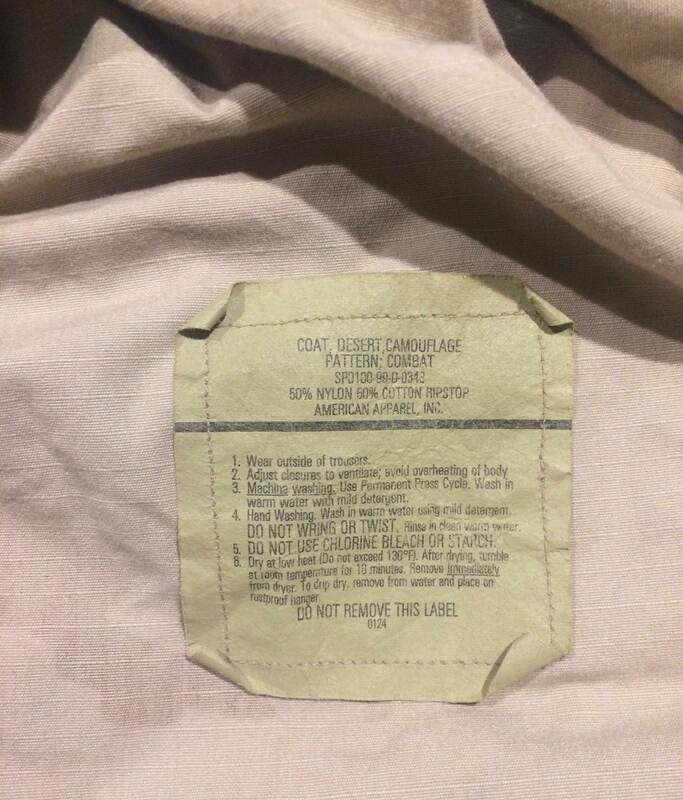 Similar pocket and velcro arrangement to khaki BDU (Sample 9, below). 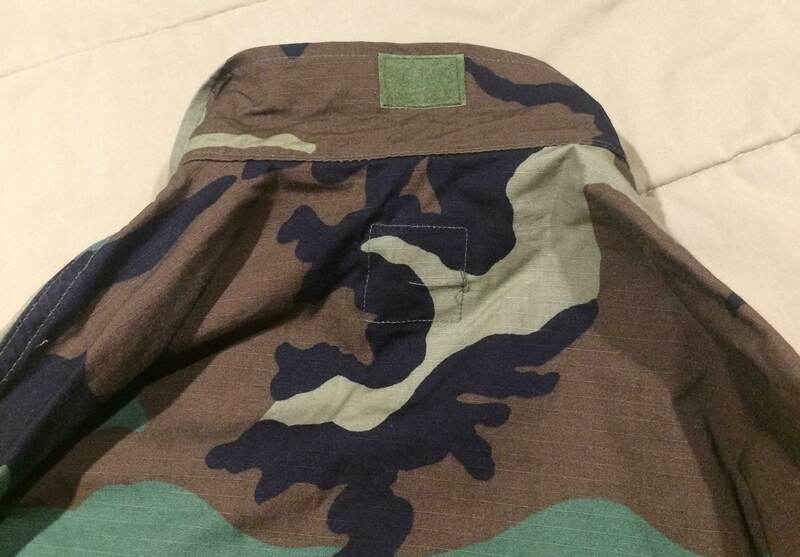 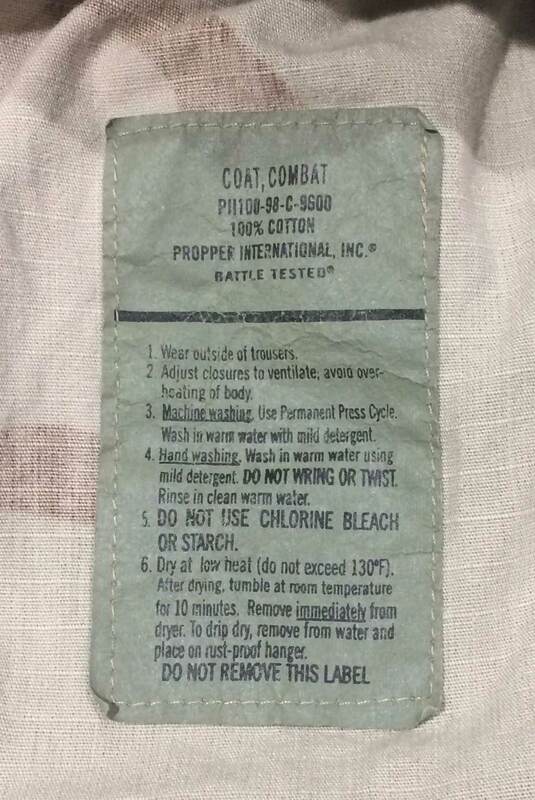 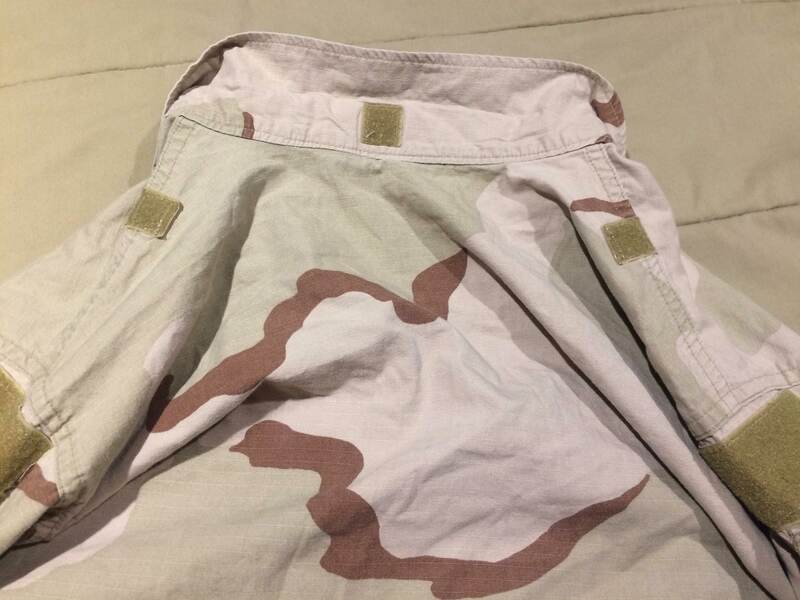 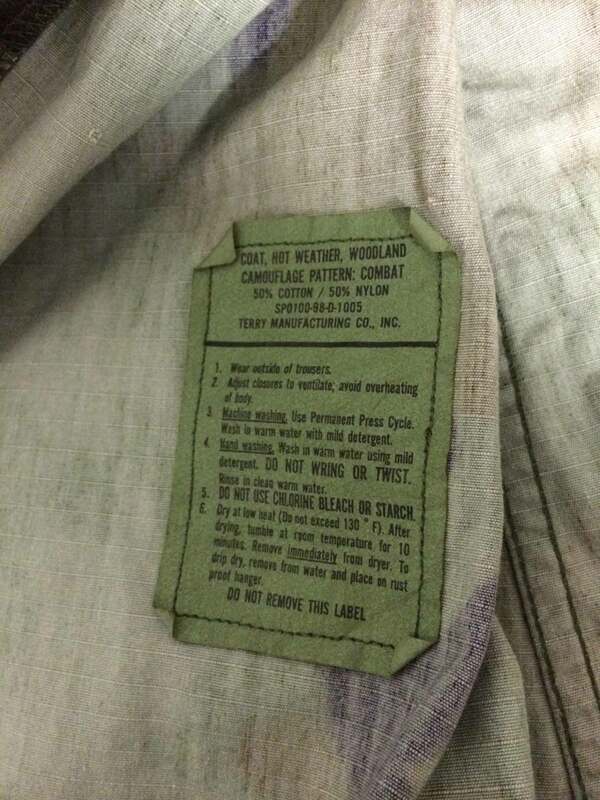 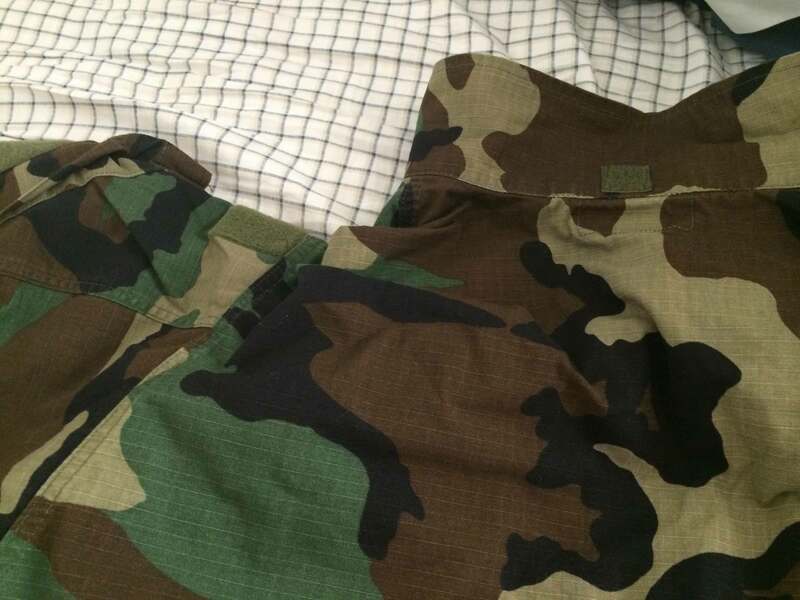 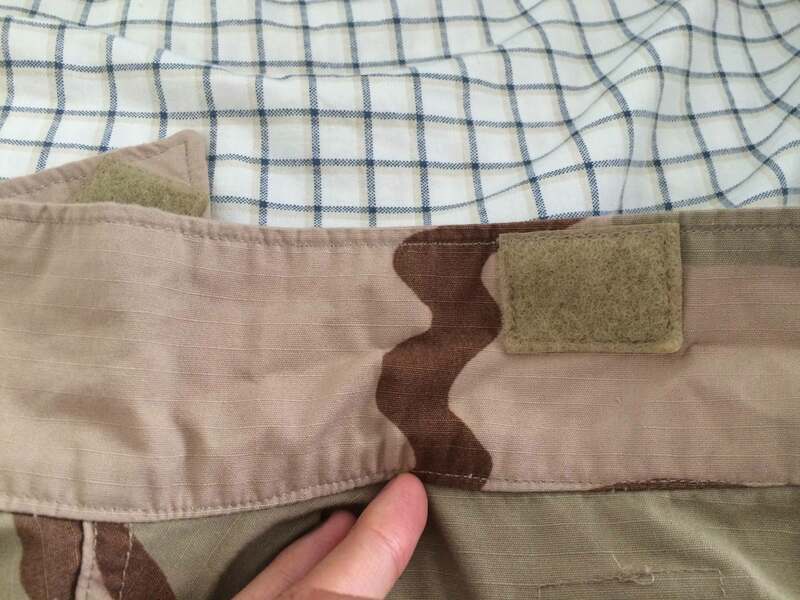 Pockets slanted outwards, perhaps for easier access while wearing under plate carrier. 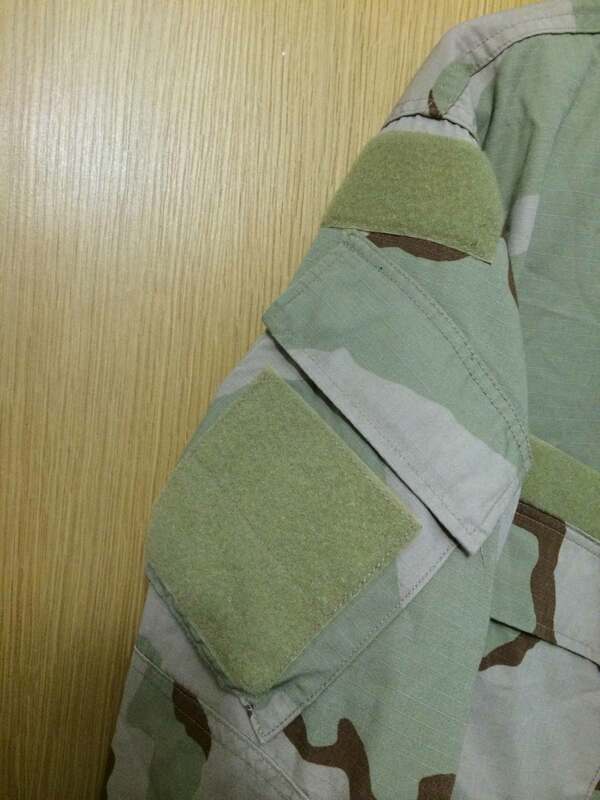 Collar insignia is for Civil Engineering Lieutenant. 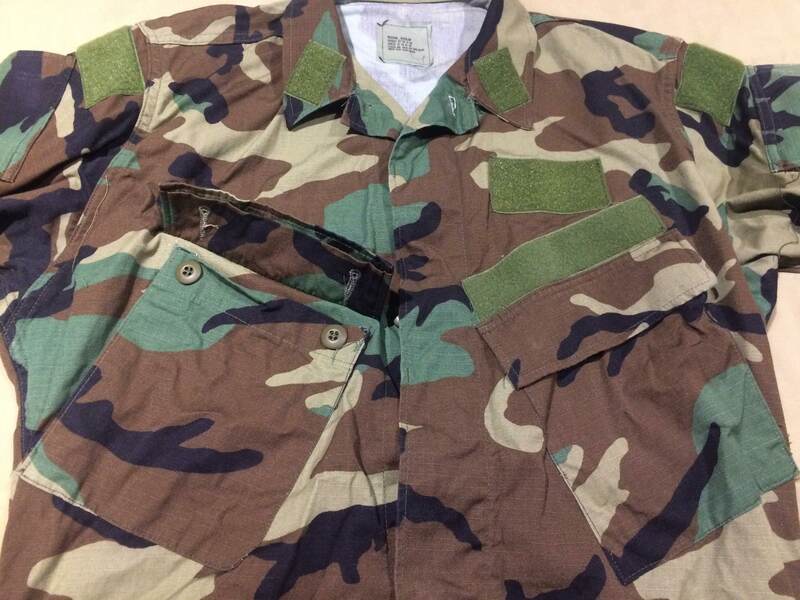 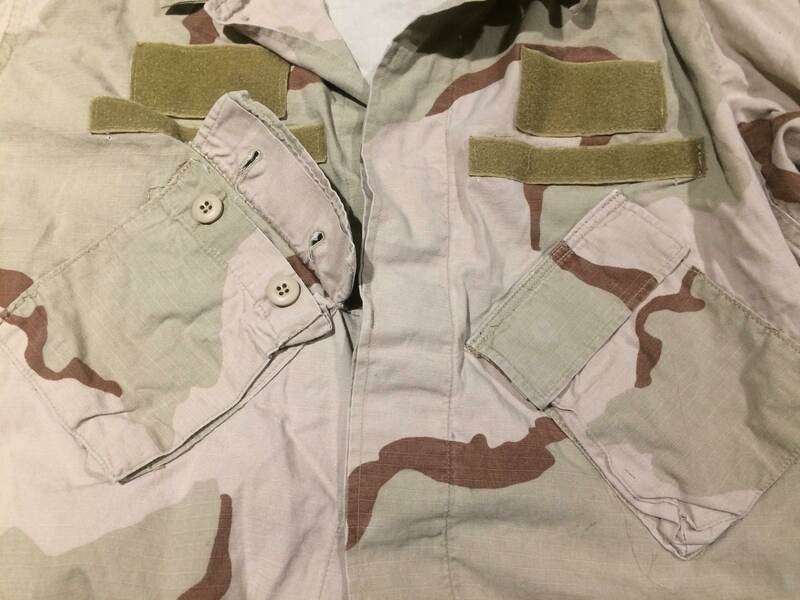 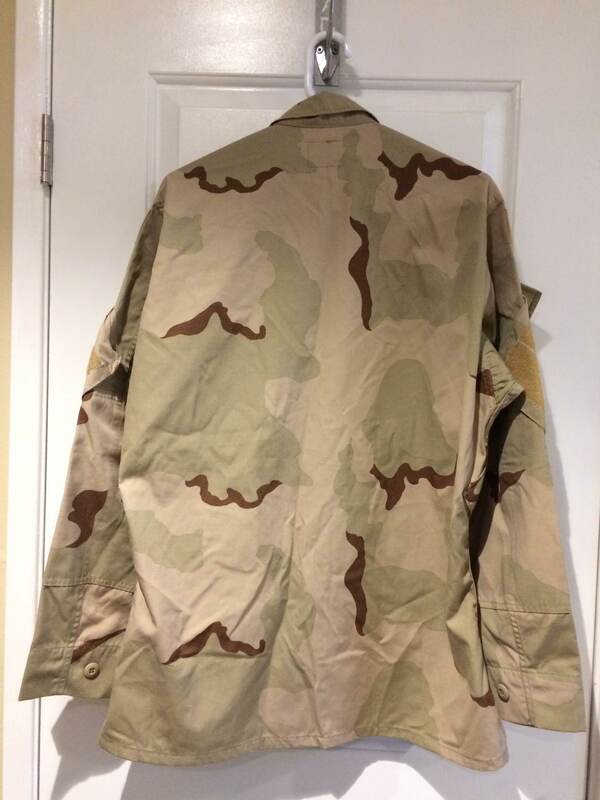 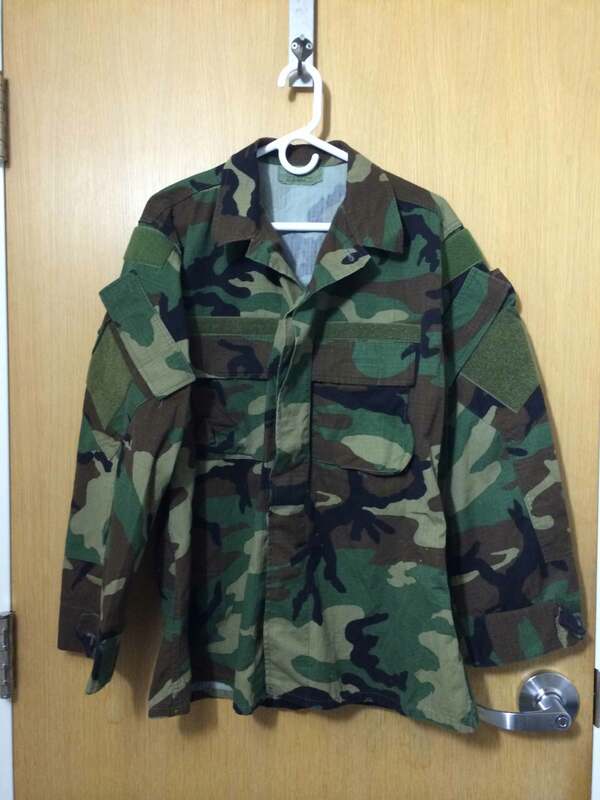 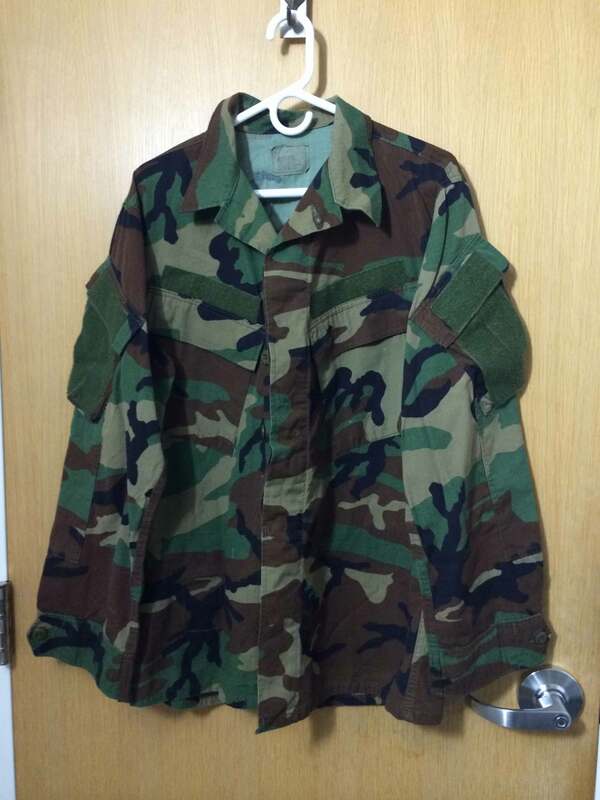 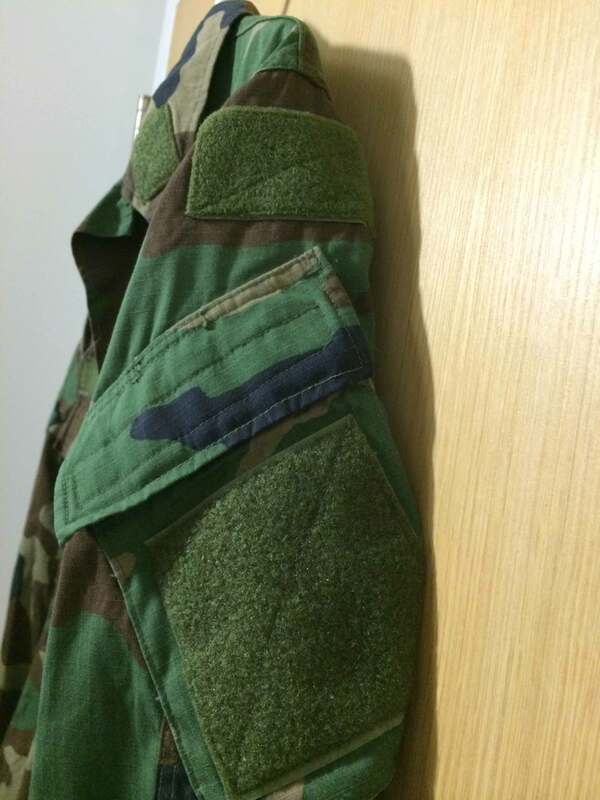 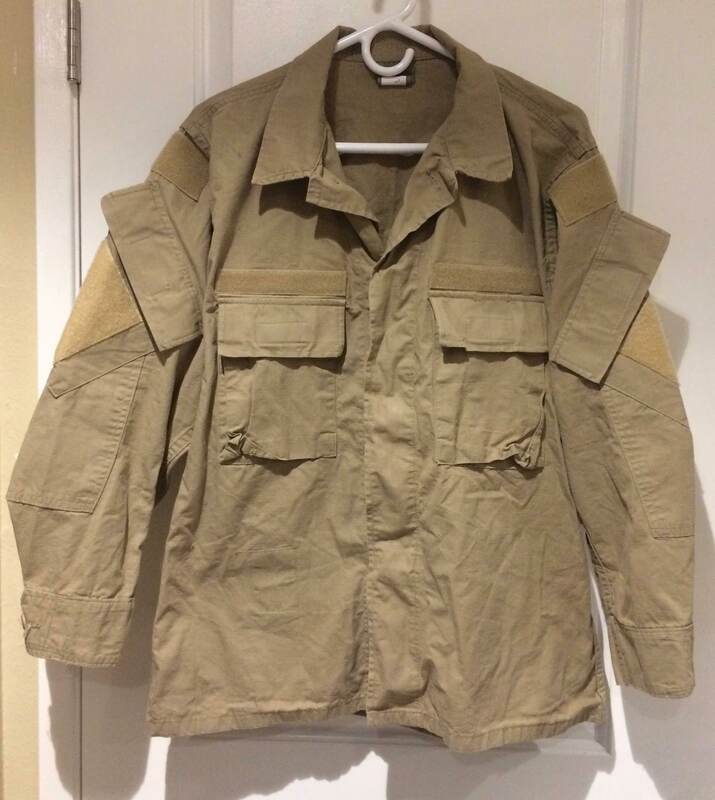 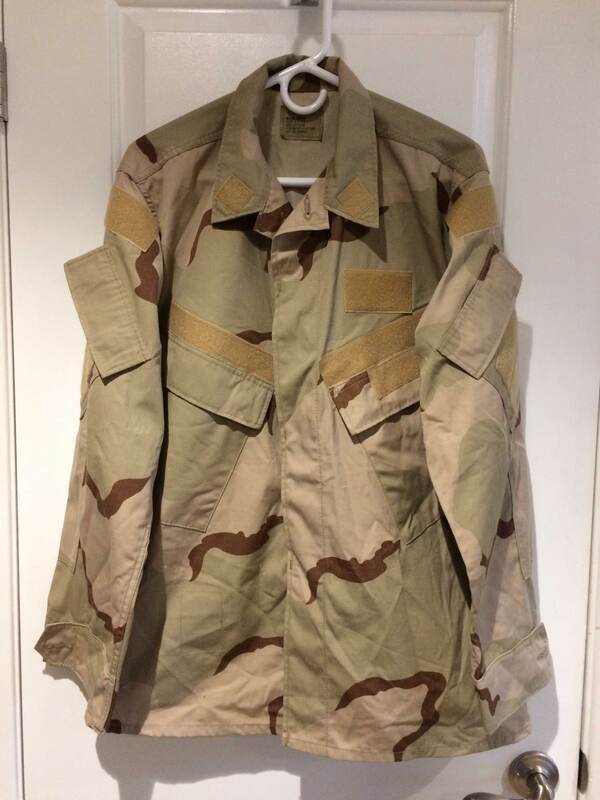 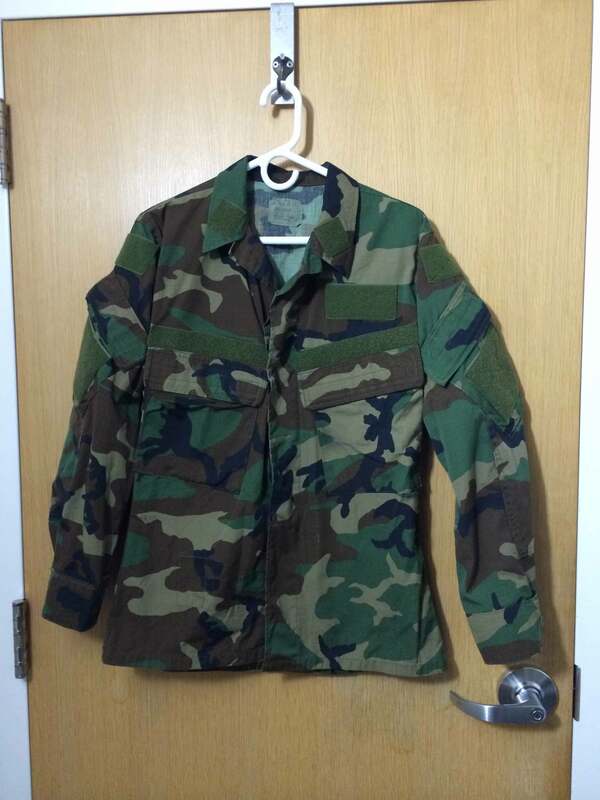 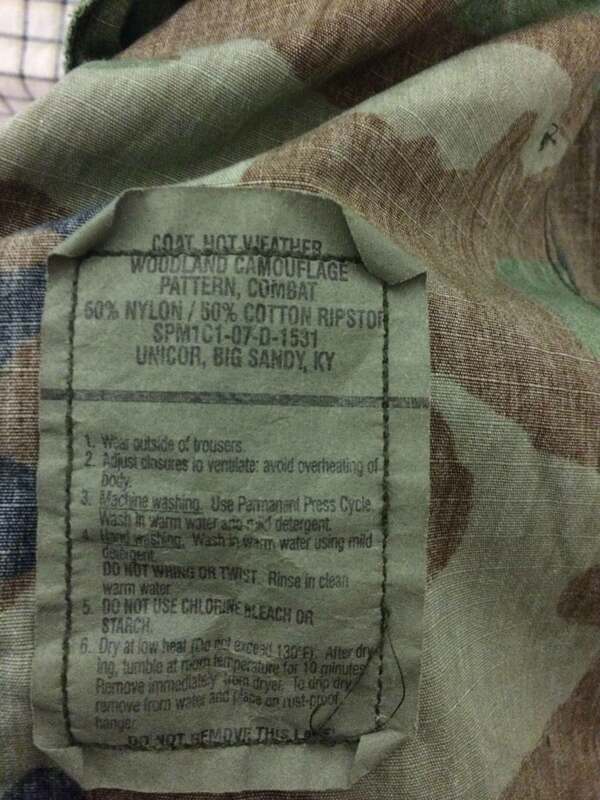 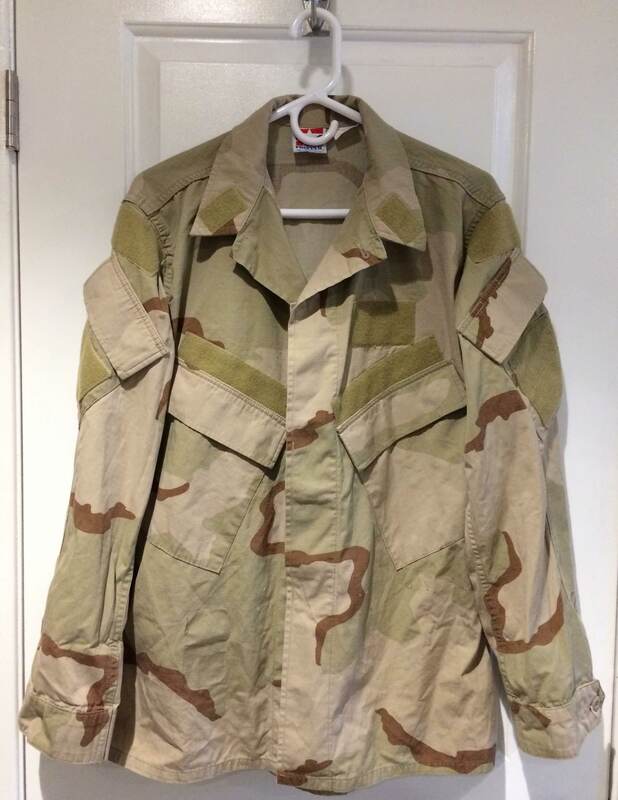 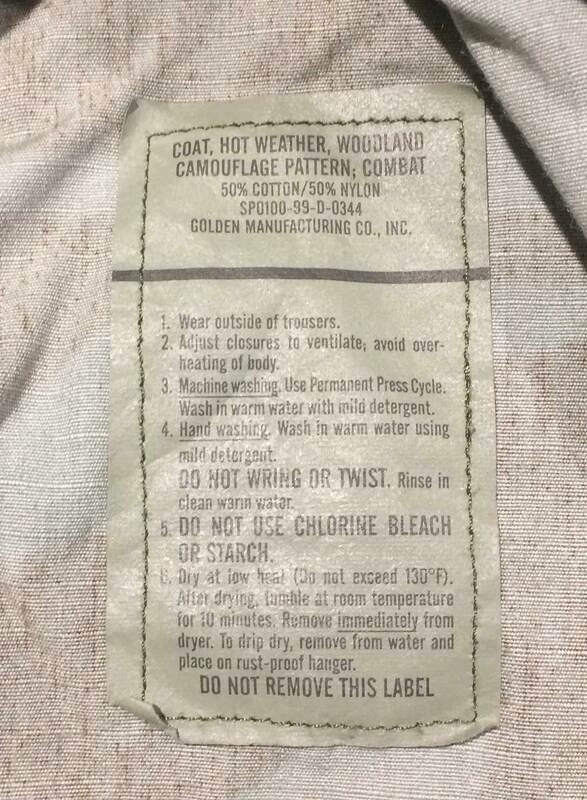 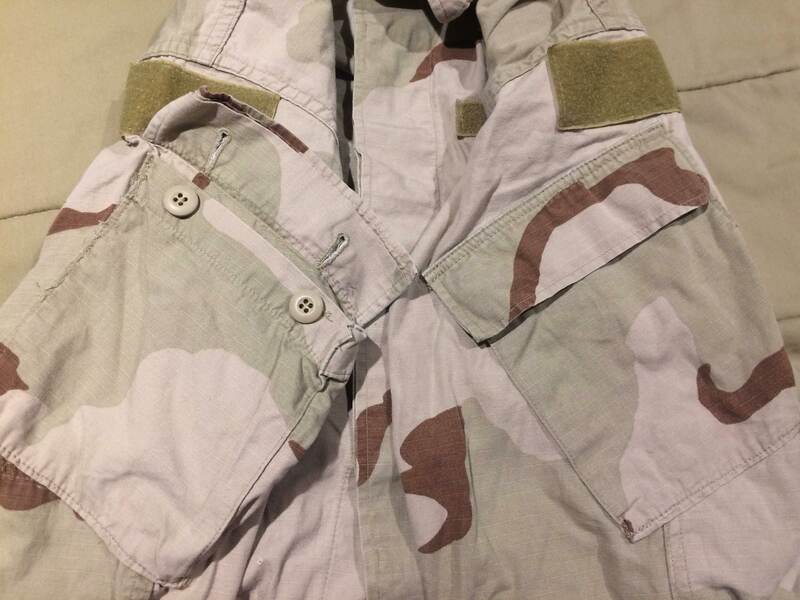 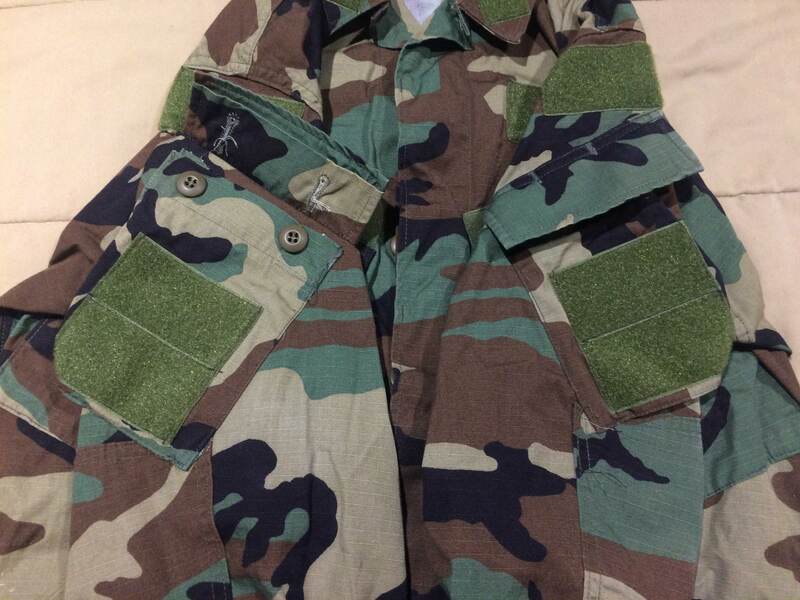 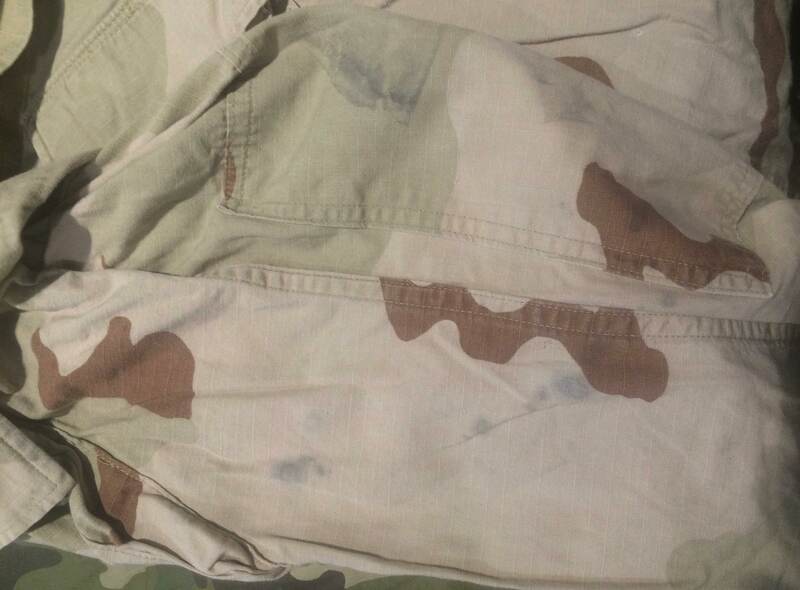 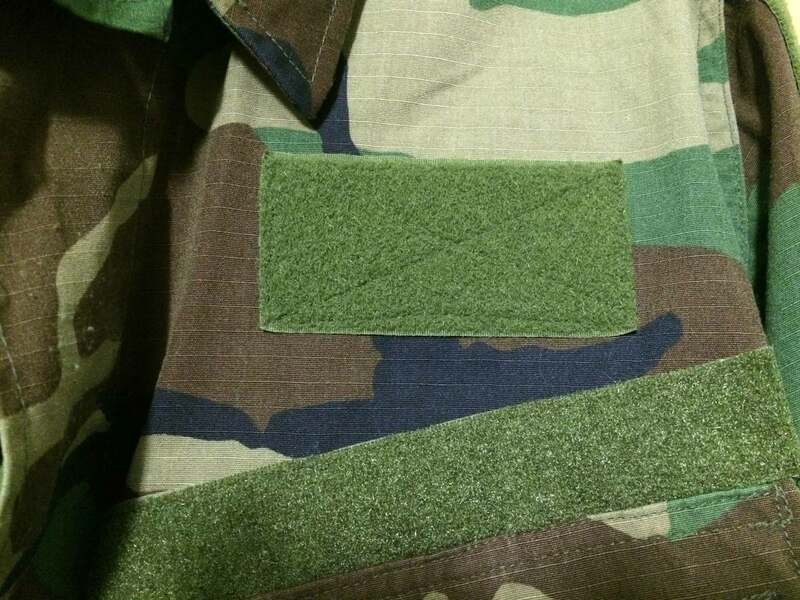 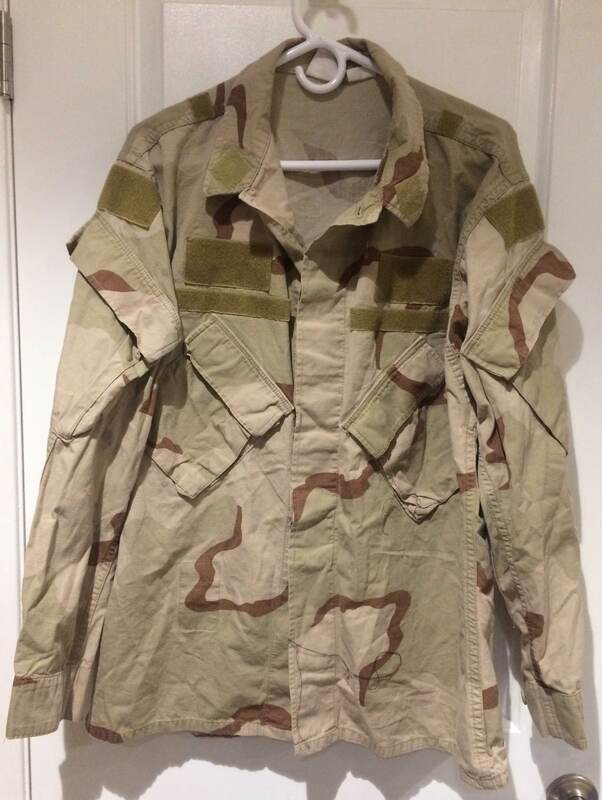 Similar pocket and velcro arrangement to woodland BDU (Sample 3, above). 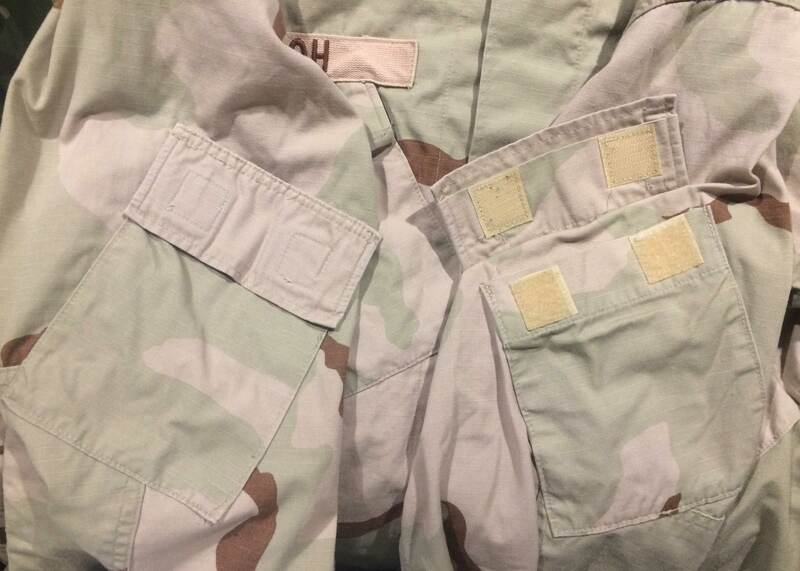 NSW type modifications, same velcro and pocket arrangement as Sample 11. 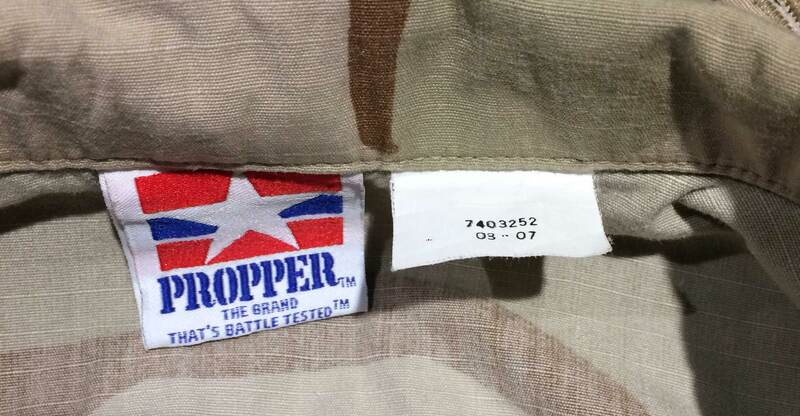 Found together with Sample 11. 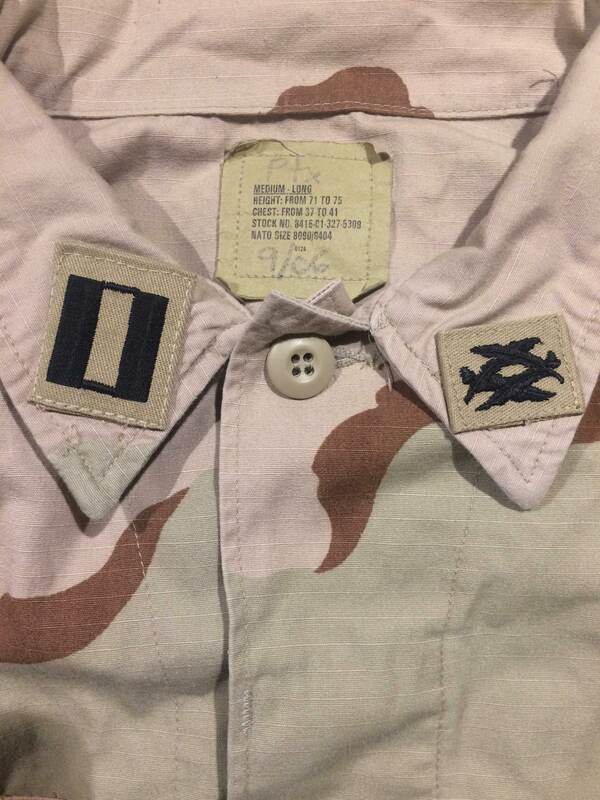 NSW type modifications, same velcro and pocket arrangement as Sample 10. 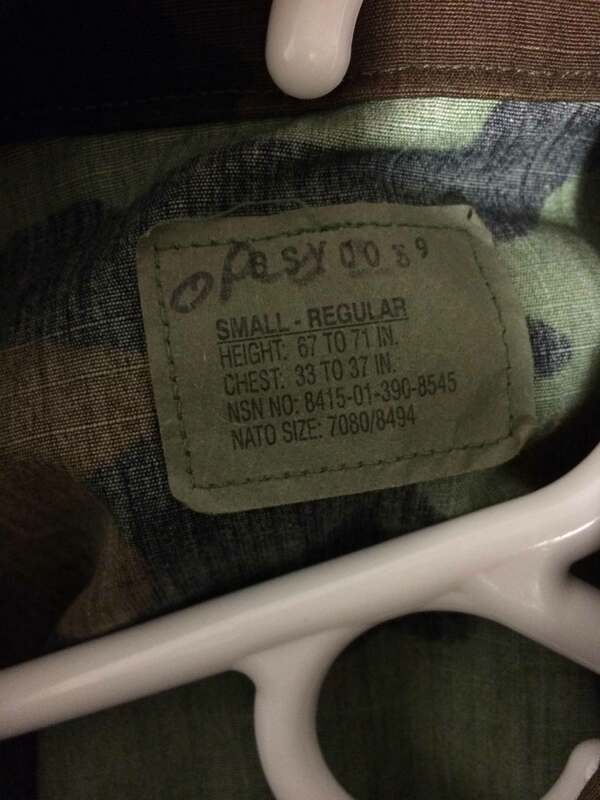 Found together with Sample 10. 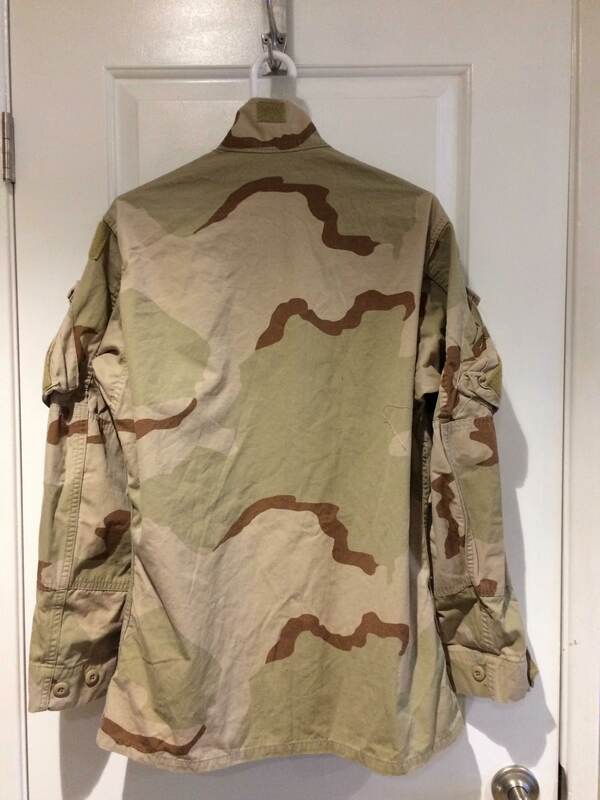 Appears to be totally unused.